Four Years of John and Edward! I’m John, and I’m Edward, and together we are “John and Edward”. 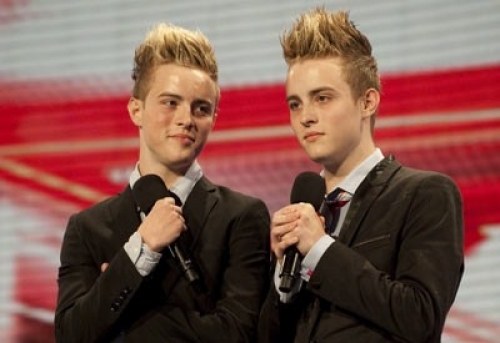 Four years ago today Twins from Dublin appeared on UK TV screens, auditioning for the X Factor. For boys simply following their dreams, they somehow polarised society, with everyone having an opinion on the Irish teens. They continued in the series, each week being the one act captivating the audience, until finally bowing out in 6th place. Any other act might have accepted that the fun was good while it lasted, and gone back to school, or got a job, or whatever, but not John and Edward. Fast forward to 2013 and those dreams are coming along quite nicely, thank you very much. They have carved for themselves a niche in not only the UK and Ireland, but the rest of the world. Indeed, it’s not stretching the truth too much to suggest there’s nowhere on earth you can say “Jedward” without at least someone knowing who you’re talking about. They’re still polarising society, but to paraphrase Edward from recent radio interview, “People need to get over the X Factor. You wouldn’t expect a child who was on their first day at school 4 years later to be at the same level!” – wise words. They’ve come a long long way. I’m not going to go into detail about what they’ve done in the past four years, there’s been a lot of articles about it already today. What I AM going to say is, I’m glad John and Edward are still around. I’m glad they’re still following their dreams. I’m glad I’ve got to know them in some small way. And I’m going to make sure they’re a part of my life for a very long time to come. Thank you John and Edward for not giving up, and for showing us that anything is possible if we want it badly enough!